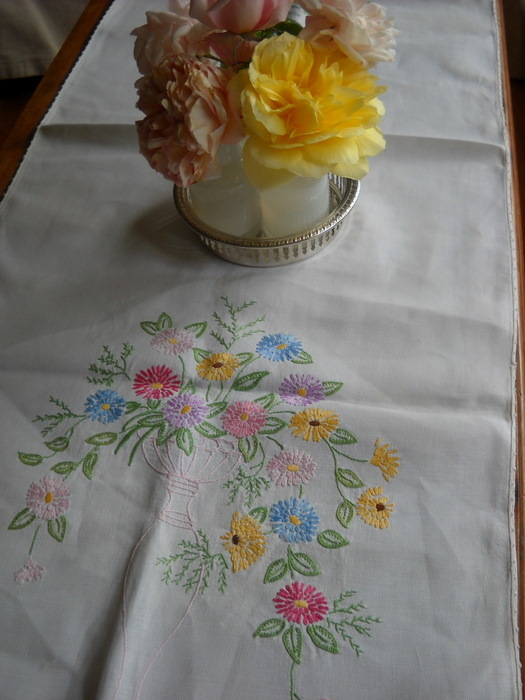 The title says it all –what could be better than locally grown organic flowers on a piece of fabric that has been embroidered on many years ago and now lovingly appreciated by partygreen celebrations. It’s one of the things that we do so well – saving time for our clients while giving them a special time with their friends with beautiful things like this. How lovely. Did you find that beautiful runner where I think you found that? © partygreen celebrations 2016. Please don't use any of our material on this website or blog unless you ask us first. Thank you!